A study led by Mayo Clinic researchers has found that proton beam therapy, in combination with chemotherapy, prior to surgery, may be a better option than a combination using traditional radiation therapy techniques with chemotherapy when treating elderly patients with esophageal cancer. Standard X-ray radiation therapy techniques include 3-D conformal radiation and intensity-modulated radiation therapy. Results were presented by Scott Lester, M.D., a radiation oncologist at Mayo Clinic, today at the fourth-annual Particle Therapy Cooperative Group ─ North America Fourth Annual Conference in Chicago. Researchers followed 571 patients treated with traditional radiation therapy and chemotherapy followed by surgery at Mayo Clinic Cancer Center, MD Anderson Cancer Center and the University of Maryland Cancer Center from 2007 to 2013. Thirty-five percent of patients were age 65 or older at diagnosis and classified as elderly for the study. 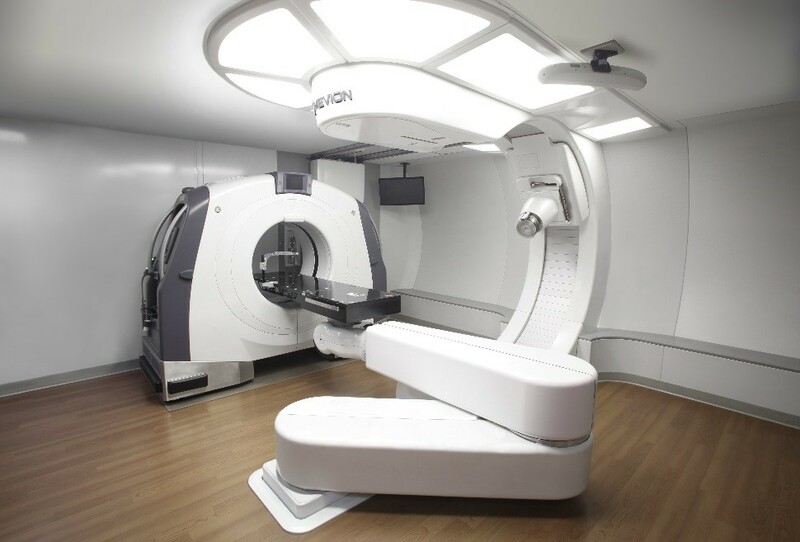 Forty-three percent of elderly patients received 3-D conformal radiation, 36 percent of patients received intensity-modulated radiation, and 21 percent of patients received proton beam therapy. Researchers analyzed outcomes by the type of radiation treatment and compared outcomes. They found that elderly patients treated with proton beam therapy had lower rates of heart and lung problems after surgery and a lower postoperative morality rate than patients treated with conventional techniques. None of the patients treated with proton beam therapy experienced a postoperative death, which the researchers think is partially related to proton therapy's ability to reduce the dose to important structures near the esophagus, such as the heart and lungs. “Age itself should not be a disqualifying factor for aggressive cancer treatment, but efforts to minimize the side effects of treatment are especially important in the elderly,” says Dr. Lester. Particle Therapy Cooperative Group – North America is the North American chapter of the international Particle Therapy Cooperative Group. This nonprofit professional society was established in January 2013 to enhance collaboration among its members; create a platform for scientific exchange; and develop treatment guidelines, education and training initiatives for particle therapy. For more information visit ptcog-na.org.